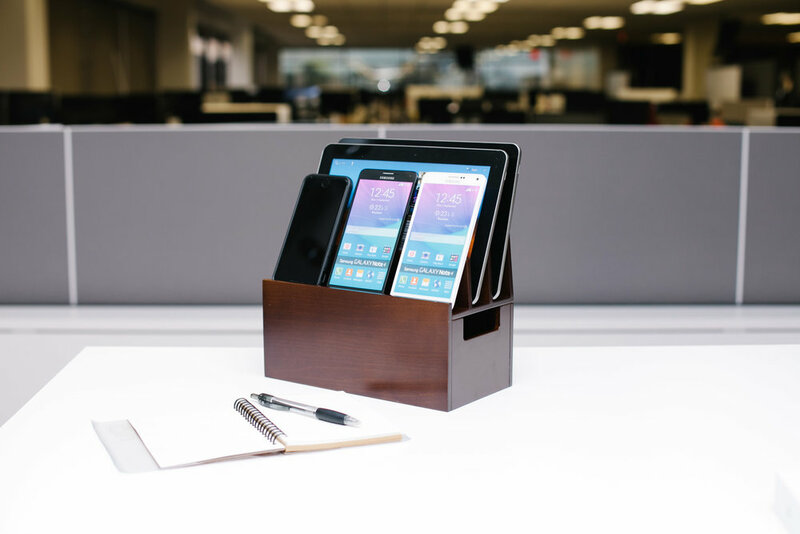 Made from beautiful wood veneer and blends seamlessly with the elegant high-quality finish of the MobileVision Wood charging station organizers. Innovative design optimized for use with the MobileVision Stands. Charge your Apple Watch with ease and style using the MobileVision Wood Apple Watch Charger Adapter. Adapter is designed to clip-fit onto the side of the MobileVision Wood Stands and Charging Organizers. Adapter’s top is precision-machined cut to fit all Apple Watch chargers and cables. Hide and manage the long cord easily inside the Wood Stand base. No hassle assembly required. Simply clip the adapter to the sidewall of the Wood Stand base and it is ready for use.